The Mauna Kea Beach Hotel & Maui Jazz and Blues Festival present, An Evening of Jazz with 3 Time Grammy Winner Tom Scott and Na Hoku Hanohano Award Winner Brittni Paiva. The Mauna Kea Beach Hotel brings you an Evening of Jazz with Three-Time Grammy Winner Tom Scott & Na Hoku Hanohano Award-Winner Brittni Paiva, Live at the Mauna Kea Beach Hotel Oceanside Luau Grounds. DVD Release Celebration – Brittni Paiva “Living Ukulele”. You’re invited to an Evening of Jazz with Three Time Grammy Winner Tom Scott!! 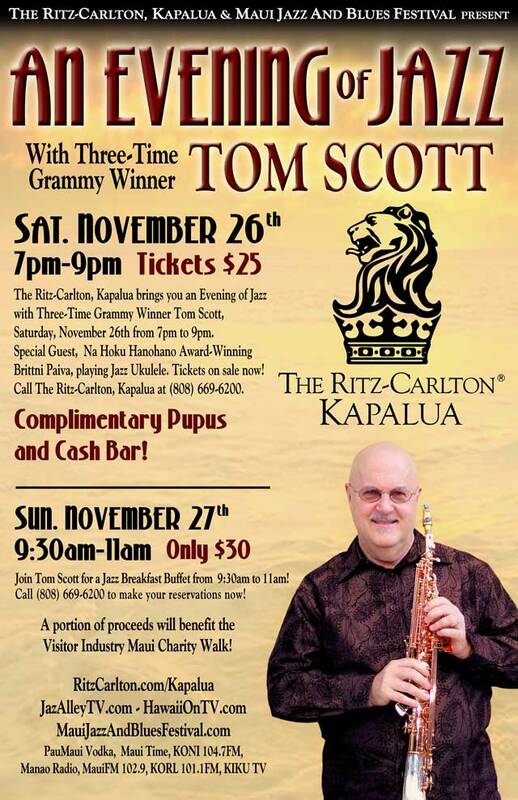 The Ritz-Carlton Kapalua Maui and Maui Jazz and Blues Festival bring you a great Jazz Event in Kapalua, Saturday November 26th from 7pm to 9pm – Jazz Music with Tom Scott, with Complimentary Appetizers and Cash Bar. Special Guest appearance from Na Hoku HanoHano Award Winner, Brittni Paiva, playing Jazz Ukulele. Tickets are on sale Now, for only $25! Call Ritz-Carlton Kapalua at 808-669-6200.
from 9:30am to 11am. Just $30!! Call Ritz-Carlton Kapalua at 808-669-6200 to make your reservations now. 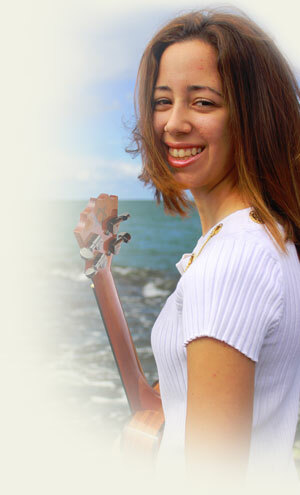 At 21 years of age, Brittni Paiva (pi –VAH) is the preeminent female `ukulele player from Hawaii. Affectionately referred to as the `ukulele darling, Brittni is a native of Hilo, on the Big Island. She is a multi-award winning, multi-instrumentalist with a prodigious gift who is wholeheartedly embraced by a global audience. Brittni Paiva - "La La La"
Brittni Paiva - Krewella - "Alive"
Brittni Paiva "Tell U What"